The Laneway | Hair. Beauty. Blogging. Last week The Laneway were delighted to welcome popular Melbourne vintage maven and fashion blogger Esme and the Laneway (inset above) to our salon. When Esme found out online that there was a salon called ‘The Laneway’, she approached us immediately to book in a BIG colour change and write a blog about our business. Esme (her blog name) has been a prolific writer for some years, well-known for her trademark glossy black hair. But, it was time to change things up a little! In the hands of the capable Gabi Forster, Esme went from raven black to a Rita Hayworth-worthy glowing rich red mane! This warm, golden red colour offset Esme’s porcelain skin and blue eyes – and is a look which will complement the upcoming autumn/winter fashion trends. 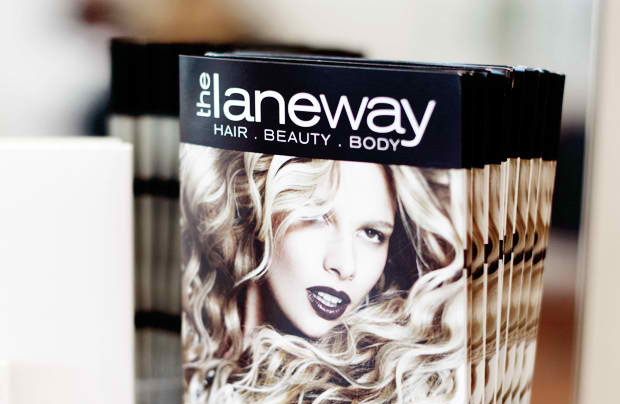 To read Esme and the Laneway’s blogpost on her recent visit to The Laneway salon, click here. To see her newest blog called ‘and now… I am a redhead’, click here! It’ll make you inspired for a new-season colour change too, we’re quite sure of it. All photos courtesy of Esme and the Laneway. The Laneway Salons in Singapore! 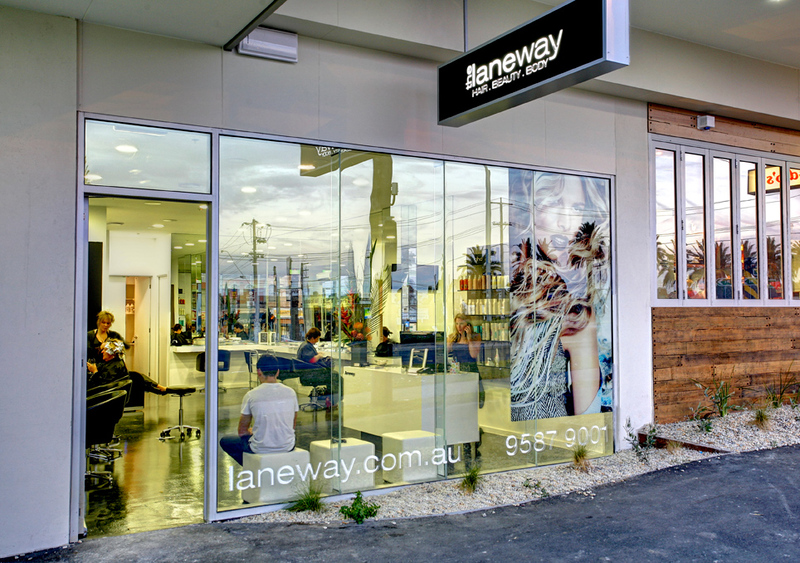 The Laneway Salons are truly excited to be featured in ANOTHER international publication. This time it’s Singapore’s premiere hair magazine ‘Hair For You For Me Journal’. Here is the ‘h4ufme’ spread, a re-interpretation of our Urban Glamazon editorial. If you’re looking for styling inspiration, make sure to save the ‘h4ufme’ website in your favorites. This Asian journal regularly features international cutting-edge fashion, photography and (of course!) hair. As they say on the ‘Hair For You For Me’ website – it’s hair-raisingly good! h4ufme is also distributed in Malaysia and Dubai, and it is a publication which has cemented itself at the top of trade journals in the pacific region. In a follow-up to Paula Kelso’s interview in last weeks’ premiere blog from The Laneway – we’ve got the pleasure of introducing you to The Laneway Mordialloc’s Director Katie Head. Katie is vivacious, energetic and always striving to create the most creative and beautiful outcomes for her clients. So… here’s Katie! 1. What makes The Laneway such a respected and well-loved brand, setting you apart from your competitors? The Laneway, is such an amazing brand – it is a reflection of both the passion of Paula and myself. We strive to create a thriving environment for clients to visit. We continually improve our skills in both business and hair dressing, and we never lose sight of the fact that it is all about the client! No one leaves a Laneway salon unhappy. 2. What are your standout skills in hairdressing? I sleep eat and dream hair, and I channel all my energy into my craft. I love to take a client through all aspects of their service. An amazing colour must be complimented with an amazing cut. 3. 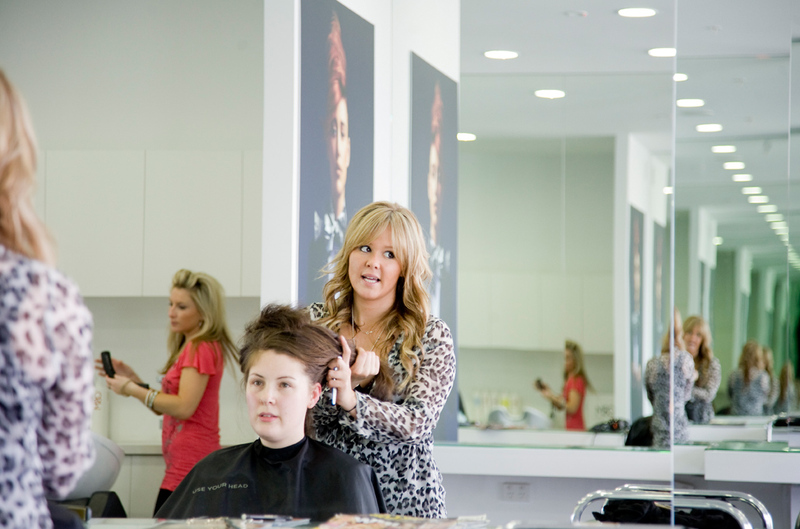 When did you work out that you wanted to work in the hairdressing field, and who has mentored you on your way? I have wanted to be a hairdresser all my life. I have two younger sisters and playing hairdressers was our favourite game! Paula – my co-Director – has been my mentor and an amazing friend to boot. She has encouraged me in the ideas I have had. She has encouraged me to pursue all aspects of hairdressing. She gave me the confidence to participate in a photo shoot in Sydney recently. I was so nervous and she pushed me through! That photo shoot was the best experience I have ever had! Paula has believed in me when I have not always believed in myself. With our collaborative relationship, no door has ever been closed – instead there’s an array of doors just waiting for me to step inside! My earliest memory is playing in my grandparent’s garden. My childhood is filled with amazing memories with my family, they have been my driving force to succeed in all aspects of my life. Outside Mordialloc’s The Laneway salon – where you can find Katie! My last meal would be something cooked by Jamie Oliver he’s so funny!! 6. What is your best tip for choosing working partners? My best tip,for picking employees is choosing someone family orientated as team work is already structured in their outside life. My favourite sound is the alert tone of a text message on my iPhone – I like to know I’m loved! 8. What are the key trends you’re expecting for summer? Key trends for summer include the messy up do which is making a massive comeback. Volume and soft ways. Natural sandy tones for blondes, and rich browns. Sharp short cuts, and soft long layers. 9. What is something unexpected that has come from your work at The Laneway? Something unexpected from the Laneway? Well, I met Andrew my boyfriend here! He was a client, sometimes he would get 2 hair cuts a week! Now trying to get him to have a hair cut is like getting blood from a stone!